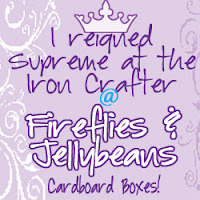 Fireflies and Jellybeans: Who Reigned Supreme on Iron Crafter: Cardboard Boxes! Who Reigned Supreme on Iron Crafter: Cardboard Boxes! WOW! We had another wonderful round of Iron Crafter! took the prize with her Cardboard Playhouse! 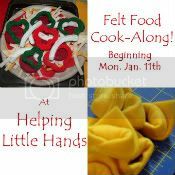 I will be post the NEXT SECRET ingredient today! 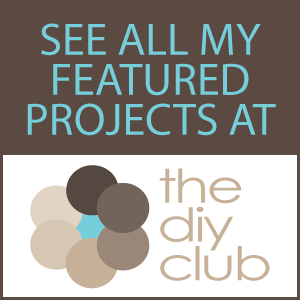 A great place for shopping finds, reading/movie lists, crafts, recipes, giveaways, daily life and much much more. Congrats! And again, great job everyone who entered! 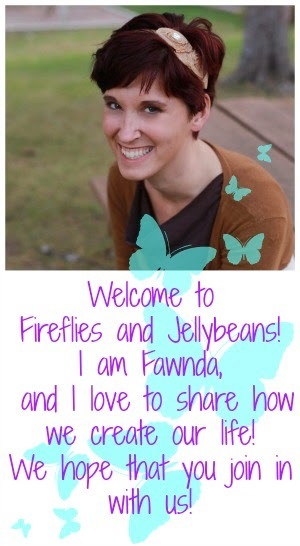 Thanks Fawnda for the opportunity to guest judge! I had soooo much fun! I would like to thank the academy...ane my sister in law for ordering a stove so I could steal her large box! thanks F and J!!!!! !